Give gifts away in this cute small blue green baby ducks pillow box, perfect for little party favors for guests to take home or for mini gifts for friends and family. This small blue green baby ducks pillow box is decorated with a pattern of pastel blue green baby ducks inside of large white hearts that have blue dashed outlines. There are two small pillow boxes per page. 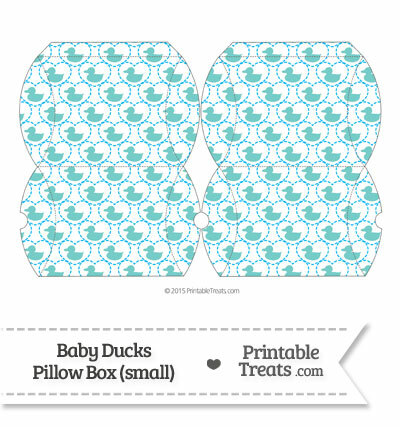 These baby ducks pillow boxes are perfect for baby showers!